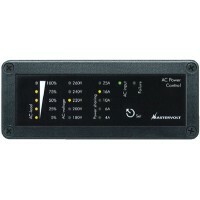 Dc distribution 500 masterconn Description: DC Distribution 500 MasterConnect..
Mascombi 120vac 12v 2500w 100a Size: 19.5"H x 12.5"W x 6.1"DWatts: 2500 ContinuousCharger: 100A..
Mascombi 120vac 12v 4000w 200a Size: 19.5"H x 12.5"W x 11"DWatts: 3750 ContinuousCharger: 200A.. Designed to read out the actual AC status of the Mass Combi and to limit the input current to preven..
Masterbus masscombi interface Description: Masterbus Masscombi Interface..
Mastershunt 500 batterymonitor Description: MasterShunt 500 MasterBus Battery Monitor..
Masterview touchscreen rmt dsp Description: Masterview Easy touch screen panel..
3-step charging method adjustable for all battery types and works with nearly all solar panels (PV-m.. Requires the use of a charge controller, SEACHOICE model 14391, sold separately, to prevent battery .. 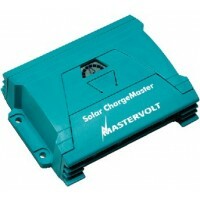 Solar charge controller Watts: -Volts: Handles up to4A at 12V DC applicationsSize (L x W x H): -..